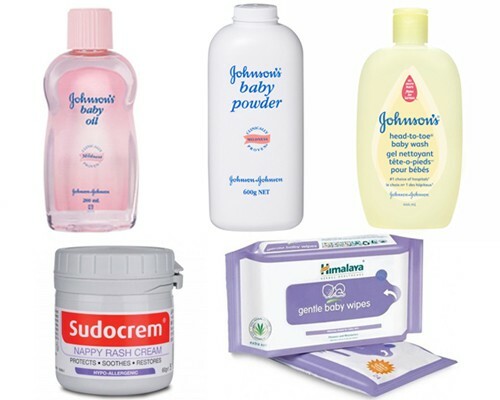 #BeautySecrets: 5 Amazing Baby Products For YOUR Beauty Routine! While being a mum teaches you all sorts of tricks, one thing I’ve come to value is products that have the ability to multitask, just like me! Turning to the little guy’s stash of products has saved me not just time, but a fair bit of cash too. Believe it not, but switching to baby products for YOUR beauty routine is actually a fantastic idea. They are gentler on the skin than regular products and easier on the pocket - we can’t complain! 2. Baby Wipes - True-Blue Lifesavers! While every mum knows NEVER to leave home without extra diapers and wet wipes, what a lot of people don't know is that whether or not you have a baby in tow, wet wipes could easily become your best friend! A much cheaper alternative to makeup wipes, I massage a few drops of baby oil onto my face and then wipe off with wet wipes. For particularly intense eye makeup, add a few drops of oil to a folded wet wipe and use to gently wipe off the makeup. It’s way more effective than expensive makeup removing wipes! If your skin is particularly sensitive, opt for fragrance-free wipes instead. A discreet way to freshen up during the hot summers is to dab your face with a wet wipe to keep it clean and grime free. You are guaranteed to feel fresh and keep your skin clean, preventing zits and breakouts. Win-win, right? 3. Baby Powder - Magic Dust! The secret behind sweet-smelling babies, this magic dust can be sprinkled on your scalp to rid yourself of greasy roots between shampoos. Save what you’d have spent on an expensive dry shampoo and splurge on a new pair of heels instead! Just remember to go easy - you want fresh, nice smelling roots, not faux grey hair! Getting a bit too hot and sweaty in the summer months? Dust a bit of baby powder for a serious reduction in sweat. And even if you still do sweat, you wont have to worry about the odour. An age-old trick to keep your lipstick in place for longer is to apply one coat on your lips, dust with a bit of baby powder, dab,then apply another coat of lipstick - and you’re good to go! The powder helps to settle the pigments and colour, increasing the chances of it to staying on longer. In my eyes, the ability to cure an angry red rash on a baby’s bottom gives this cream serious superstar status. Another “by chance” led me to discover that this wonder cream works great on chapped adult skin too. Gentle, yet very effective, use it on dry heels, chafed skin and rashes. You’ll be surprised at how soon you’ll be able to see visible effects! In case you want a recommendation, I absolutely swear by Sudocrem. 5. Body Wash - Brilliant Bubbles Indeed!